Starting at age 30 and onwards, our bones become more porous and less dense, which makes them vulnerable to fracture, bad posture and even a shrinkage of our stature. That said, there are good ways of preventing loss of bone density through exercise. Below I will explain a bit about bone density, why we lose it with age and what exercises you can perform to maintain it. During our lifetime, the bones in our body are dismantled and rebuilt, but after age 30, the bone gets to a state where the deconstructed material is more prevalent than the built. This situation causes osteoporosis and damages the overall strength of our frame. The osteoporosis makes our bones vulnerable and causes possible fractures. The most common places for a fracture are in the wrist, the vertebra and the hips. Because of the function estrogen plays in this process, women after menopause are the biggest sufferers of osteoporosis. That said, men also suffer from this problem. Bone density goes deteriorates faster in women around age 50, while with men it appears around age 70. There are various types of medication for osteoporosis, usually given when the situation is especially bad. Still, the best known way of treating osteoporosis is prevention by exercise. Once the process of osteoporosis has already begun, exercise slowly loses effect, and so the medical recommendation is to begin regular exercise as early as possible. The exercises laid out here are not overly complicated, but can be performed on rising levels of difficulty. The idea is to challenge your body in order to strengthen it and remain at a rising level of difficulty. But one must understand and know what the limitations of the body are, so as to not cause damage during training. Regular, persistent exercises, rising in difficulty, will help you improve your bone density and slow down its breakage. The training should combine exercises that work on your balance, coordination, strength and flexibility. Each exercises explained here will have a basic and advanced versions. If you already suffer from osteoporosis - stick to the basic version. If you feel these exercises are too easy, slowly move to the advanced version. During the activity, avoid stretching your spine and wrists, keep your neck and shoulders relaxed, and don't forget to breath during the exercise. After a light warmup of walking or going up the stairs for 5-10 minutes, perform 2 sets of each exercise and rest for about 45 seconds between each set. Complete the sets of each exercise before moving on to the next. For optimal results, perform this activity 3-4 times a week, do aerobics for 30 minutes at least 3 times a week and built a diet menu rich in calcium. Works on: Posture, bone strength, back and shoulder muscles. 1. Sit with your back straight on a well-balanced, strong chair, with your feet flat on the floor. 2. Lift your arms to the sides of your shoulders and hold your forearms at a 90-degree angle. 3. Make sure your wrists are just above your elbows. 4. Squeeze the shoulders muscles one against the other by retracting your arms back and downwards. 5. Hold for 2 seconds, release and repeat. 6. Don't let your head pull you forward. Lay on your stomach and make the same action with your arms and shoulders. Lift your arms as high as possible. Hold for 2 seconds, lower back down and repeat. Works on: Bone strength, buttocks, thigh muscles, quadriceps and hamstring. 1. Lay on your back with your arms at your sides and lay your feet flat on the floor with your knees bent. 2. Exhale, clench your buttocks and your stomach muscles, and lift your hips as high as possible. 3. Remain in this form for 1 second, return to the lying down position and repeat the action. 4. Make sure that when you are raising your hips your thighs and body form a straight line. Make things harder on yourselves by crossing one leg over the knee of the other. Complete the action and change legs. Works on: Balance, strengthening your hips, quadriceps and buttocks. 1. Stand in front of a sturdy chair with your back to it. 2. Slowly distance your legs from one another until they are hip wide. 3. Slowly sit by bending your knees. 4. Keep your knees at a line with your toes. 5. Stand up and repeat the movement. 6. If the movement is too hard for you, put down a pillow to make the seat taller. 7. Repeat 5-10 times (according to your ability) over 3 sets. Stand to the side of the chair and hold it for support. Perform a sitting movement while one leg is on the floor and the other in the air for balance. Get down to the height of the chair and slowly rise. Then change legs and repeat. Works on: Balance, strengthening the wrists, bone strength and shoulder muscles. 1. Stand about 30 inches (80 cm) away from the wall, facing it. 2. Put your hands on the wall at shoulder height and lean on the wall. 3. Transfer the weight of your body to your hands. 4. Keep your stomach muscles clenched and your neck aligned with your spine. 5. Hold this position for 10 seconds, and then return to your first posture. 6. Try to raise the amount of time you can hold the position, until you reach 45 seconds. You can also take a little more distance fro mthe wall to make things harder on yourselves. Lie down on the floor and push yourselves with your hands, with your toes anchored to the floor. The palms of your hands should be just under the shoulders. If this is too hard, start with your knees on the floor and try to work your way up to the full form. Tai Chi: Tai Chi builds on your coordination and muscles. It is highly recommended for women. A 45 minute exercise a day, 5 times a week, can really do wonders. Yoga: Raises the density of minerals in the spine, hip and wrist bones. It also works on your balance, coordination, concentration and bodily awareness. 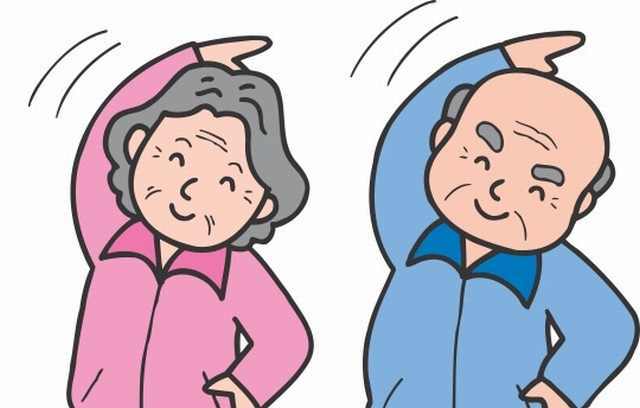 Dancing: This can be an exercise that combines dancing such as the zoomba, but also tango or salsa dancing will do the trick and strengthen your bones. Tennis: Mainly improves bone density in the area of the shoulders and arms, but also works on the legs and feet. Strength training: Using free weights to exercise can contribute to bone growth. Twice a week will lead you to good results.